Greetings from warm, sunny Florida! My name is Ray Friedman. I am the CEO of Mile2 IT Security. You might remember our name from your interaction with ctc TrainCanada/cte Solutions, our long time training partners in delivering high quality IT courses in Canada. I wanted to share with you an exciting new opportunity to get high quality IT training in Canada. Since May of last year, when ctc TrainCanada/cte Solutions was purchased by a global training provider I have been actively looking to re-enter the Canadian training market. I firmly believe that quality has suffered and there is a growing gap in the IT training space in Canada. Mile2 would like to introduce our Canadian Customer focused IT Courses. Ultimate IT Courses focuses on multiple disciplines including Microsoft, ITIL, Cisco and our flag ship – Cyber Security training. Our courses are delivered as the instructor-led online training and ultimate self paced CBT training options. We decided to start Ultimate IT courses in Canada after receiving numerous course requests from across Canada. Toronto, Ottawa, Vancouver, Calgary, Halifax – you name it. Private and government organizations alike need high quality IT training to stay relevant in a fast paced work place. It is clear that the demand for excellent customer service and quality technical training is growing. Ultimate IT Courses simply want to fill this void by providing extremely competitive pricing, great courses and unbeatable customer services. 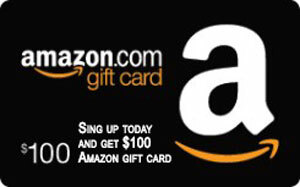 As a way to encourage you to take advantage of our training we offer a $50 Amazon gift card for every course registration. Let me know if you have any questions about Ultimate IT Courses. Let us help you meet your IT training needs. Thank you for the opportunity. Have a great day!